Men with curly hair truly have a gift. Curly hair is beautifully textured and perfect for many of the best men’s hairstyles – but only when you use good hair styling products. The best hair products for curly hair men are those that accentuate and define curls, provide a strong hold, ample moisture, and lock out humidity. In fact, there are plenty of shampoos, conditioners, and styling products that contain amazing blends of ingredients for these very purposes. Below, you will discover some of the best men’s curly hair products on the market. Whether you need a top-rated shampoo and conditioner, quality curl cream, strong pomade, or matte wax, these products for curly hair will help you minimize frizz, style the best looks, and keep your curls soft and healthy. Let’s start with the best shampoo for curly hair. Shampoos are designed to remove excess oil from your hair and scalp, and for the most part, they do a great job. However, using the right shampoo for men’s curly hair is a bit more involved and requires a product specifically formulated for curls. With curly hair, the roots tend to become oily faster than the rest of your hair because sebum (the oil produced by your scalp) has a difficult time working its way down the coiled hair shaft. To avoid drying out your curly hair, we recommend not shampooing as often and only washing your hair two to three times a week. Skipping the daily shampoo will go a long way toward keeping your hair naturally moisturized and conditioned, but it’s also important to choose the right shampoo in the first place. K+S Men’s Shampoo contains a blend of ingredients that works especially well for cleansing the scalp, removing excess oil, and leaving your hair soft and smooth. This salon-quality shampoo also contains tea tree oil, which has been clinically shown to help stimulate the scalp and keep hair follicles healthy. Its minty scent is superb without being overpowering, and men who have no choice but to shampoo daily claim that even everyday use does not result in dry hair. The best shampoos for curly hair are often designed to fight breakage by strengthening the hair shaft to encourage growth of stronger, fuller hair. Brickell Men’s Shampoo offers organic, natural ingredients like hydrolyzed protein, amino acids, vitamin E, and peppermint and tea tree oils. These ingredients work together to stimulate hair growth, prevent dandruff, and get shiny, healthy curls. Many men who use this daily shampoo claim that it provides so much body and fullness that they do not need to rely as heavily on styling products for added volume. While this all-natural men’s shampoo works well on its own, we recommend you pair it with the company’s revitalizing hair conditioner. Lastly, the invigorating tea tree and peppermint scent is crisp, clean, and smells refreshing. The best hair conditioners for men are designed to nourish, strengthen, moisturize, and soften. Because curly hair is far more prone to breakage, and because it tends to dry out faster than straight or wavy locks, it is vital that guys follow every shampoo with a good conditioner. In many cases, the best shampoos and conditioners for curly hair come in pairs from the same brand because the ingredients and features complement each other. However, not all high-quality conditioners are of the traditional sort that you rinse away in the shower. Leave-in conditioners offer ongoing moisture and nourishment between shampoos. For extra frizzy or dry curly hair, use a top men’s leave-in conditioner to get all-day protection. Argan oil has grown in popularity over the last several years, especially when it comes to hair products. Unlike many other oils that you’ll find in conditioners, argan oil is lightweight enough to moisturize and nourish without weighing down your hairstyle or creating unwanted buildup and residue. ArtNaturals Argan Oil Hair Conditioner is by far one of the best conditioners for guys with curly hair. This top-selling product is made with a blend of nourishing ingredients like aloe vera, white willow bark, burdock root, rosemary, and thyme to hydrate and repair your curly hair. ArtNaturals takes pride in using only natural essential oils, and each one of its products is certified vegan and cruelty free. This professional conditioner contains no phthalates, parabens, or sulfates, and every possible ingredient is organic and ethically-sourced. This argan oil conditioner leaves hair soft, shiny, and strong, and the light herbal scent smells great. K+S Men’s Hair Conditioner works well with all hair types, and is particularly effective when paired with the brand’s signature shampoo. Ingredients like peppermint and tea tree oil along with vitamin-rich amino acids work together to keep your hair and scalp healthy by nourishing each strand and locking moisture in. As one of the top-rated men’s conditioners on the market, the company is well-known for creating quality hair products. Men who use this product regularly say it leaves their curly hair perfectly soft and smooth. And while the conditioning effect is substantial, it does not leave any residue that will weigh hair down. The result is naturally clean and conditioned curls that are strong, frizz-free, and filled with volume. Like the shampoo, the conditioner also boasts the same fresh tea tree and peppermint oil scent that most men seem to love. Leave-in conditioners are a bit different than traditional products because they continue to nourish and protect your hair between shampoos. With thousands of excellent reviews, Shea Moisture Leave-In Conditioner is the best choice for men’s curly hair . Thanks to ingredients like Jamaican black castor oil, shea butter, peppermint, and apple cider vinegar, your hair will thank you for the deep conditioning and healing properties this product has to offer. Specifically, the shea butter and cater oil will repair dry and damaged hair, while simultaneously moisturizing and revitalizing your scalp. The result is the best leave-in conditioner for curly hair men who absolutely need soft, smooth curls for their stylish hairstyles. While Shea Moisture has a relatively strong scent, the delicious vanilla smell is quite enticing. When used before styling, this product will define each individual curl all day. Before applying, keep in mind that leave-in conditioners are typically heavier than other products, so start with a small amount if you have fine or thinning hair. Once you have clean, healthy, and conditioned hair, it’s important to consider the best styling products for curly hair. Good hair styling products are required to create, enhance, and hold the best hairstyles for men. But not all products work well for all hair types and lengths. For example, styling products like pomades, waxes and gels are good for short curly hair, while men with curly long hair should stick to creams. Ultimately, the best product for you depends on the hairstyle you want and your desired hold and texture. The best styling cream for curly hair offers maximum volume, movement and flow. If you want frizz-free loose curls that look good, a curl-defining cream for men makes sense. If frizz is a major concern for you, Living Proof No Frizz Styling Cream could be the perfect solution. This patented anti-frizz hair cream fights humidity all day, but thanks to its lightweight formula, it will never weigh your hair down. This curl cream offers only a light hold, so it is ideal if you want a more natural, tousled hairstyle. Its citrus fragrance is very light and refreshing. Highly-recommended for both men and women with curly hair, this cream is worth the investment. Redken is one of the best and most well-known names in hair care, and its Curvaceous Cream Serum can work wonders on your curls. 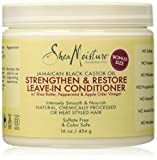 Specifically formulated for curly and wavy hair, it offers frizz reduction and a unique curl memory complex that locks in moisture, seals out humidity, smooths the hair cuticle, and provides ample definition without making hair look oily. This styling cream offers minimal hold and is best for messy, natural styles and long curly hair. 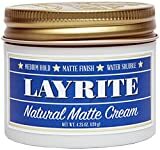 Layrite Natural Matte Cream is ideal for men who have curly hair. As a medium hold, matte finish, water-soluble cream, it’s surprisingly lightweight and easy to work with. It will hold your favorite style in place all day and never leave hair feeling stiff or crunchy. Use this cream on damp hair for a light hold with flow or apply it to dry hair for more control, volume and texture. It has a tasty vanilla smell that women love, but it fades quickly as it dries to avoid clashing with your other scents. Finding the best men’s hair gel for curly hair can be tricky. While some good gels can help define curls and hold your hairstyle in place, there are many low-quality products that can dry out hair, cause flaking, and generally destroy a nice hairstyle. For starters, you’ll want to use an alcohol-free hair gel. Second, consider natural ingredients to keep your hair healthy. The best gel for curly hair is actually a hybrid product that combines features of a gel, cream, and leave-in conditioner. The Curl Cream Gel by Royal Locks is a professional-grade curl definer that will hydrate and condition your curly hair yet provide a high-hold for all day styling. Infused with argan oil, this lightweight product will help add volume, making it ideal for all types of curls and lengths. The light scent smells clean, and the formula is sulfate-free. Another top-rated hair gel for curly hair men comes from Eco Styler Olive Oil Styling Gel. This strong-hold gel will tame and control frizz, moisturize your hair and scalp, and won’t itch or flake on you. Pomades are great for some extra hold and lift, so if you’re looking to style a comb over, quiff, fringe, or pompadour hairstyle, you’ll want to use the best pomades for curly hair. 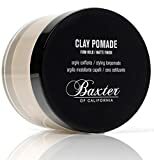 If you have thick, short curly hair and need a hair product to control your frizzy hair, we recommend you try Baxter of California’s Clay Pomade. This strong hold pomade comes with a matte finish, which makes it a great choice for a number of the trendy men’s hairstyles, including the faux hawk, quiff, and comb over. Natural ingredients like clay and beeswax help to give hair a thicker, fuller look while keeping it healthy all throughout the day. Beeswax is especially effective at sealing in moisture and conditioning men’s hair. Plus, this pomade has a masculine scent you’ll appreciate, although it does tend to fade with time. Wax is another nice styling product for curly hair. But because waxes are generally thicker formulas, working them through longer hair often proves difficult. However, a great hair wax can separate and define shorter curls. We only recommend you use hair wax if you are trying to style a curly hair fade with a short fringe or thick curls on top and want a textured finish. As one of the most popular men’s hair care brands in the country, TIGI’s products can be found in salons, department stores, and even online (where it is often more affordable.) TIGI Bed Head Workable Hair Wax works best for men with curly hair who need a high-hold, matte styling product. Not only does this wax bring out your curls while minimizing frizz, but thanks to beeswax and cera carnauba, it smooths and softens hairstyles. Its light scent is reminiscent of citrus but won’t overwhelm your sense of smell. If you’ve ever been swimming in the ocean, you might be aware of the conditioning effects saltwater can have. 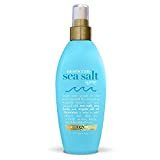 Sea salt leaves hair perfectly defined, tousled, and soft. Fortunately, thanks to easy-to-find sea salt sprays, you can have that look and feel all the time – even when you’re nowhere near the beach. Use a good sea salt spray to take your curly hairstyle to the next level. This Moroccan Sea Salt Spray from OGX is completely weightless and designed to help separate, tighten and condition your curls. Though salt can and often does have a drying effect on hair, you can combat this by using the spray on hair that is already slightly damp. If you want extra texture and tight curls, use this spray on dry hair. Carry it in your car or briefcase for a touch-up throughout the day and enjoy the sweet, subtle scent of the ocean. For beautiful, free-flowing, beachy hair all the time, experiment with this sea salt spray. Curl enhancers are some of the most popular hair products for men and women with curly hair. Thanks to their unique blend of ingredients, curl enhancing products are fantastic at creating crisp curls, giving them bounce, locking out humidity, and maintaining good moisture. The best curl-enhancing products come in many different forms, but most of the good curl-defining creams, serums, or smoothies come in a leave-in formula. 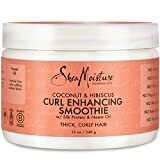 Shea Moisture Curl Enhancing Smoothie is a one-of-a-kind product that contains ingredients like coconut, hibiscus, silk protein, neem oil, and others that are essential for incredibly thick, tight curls. Unlike other products and even most conditioners, this smoothie gives you all-day replenishing moisture that will not weigh hair down. It also adds a great deal of shine and does an excellent job of fighting frizz. The scent is sweet and fresh without being too heavy. Men and women even use it as the ultimate anti-frizz hair product. Guys who use the best products for curly hair are able to style the top men’s hairstyles of the year. After buying these great care and styling products, try these trendy curly hairstyles for men.